Friends Forever, My Wish For You. 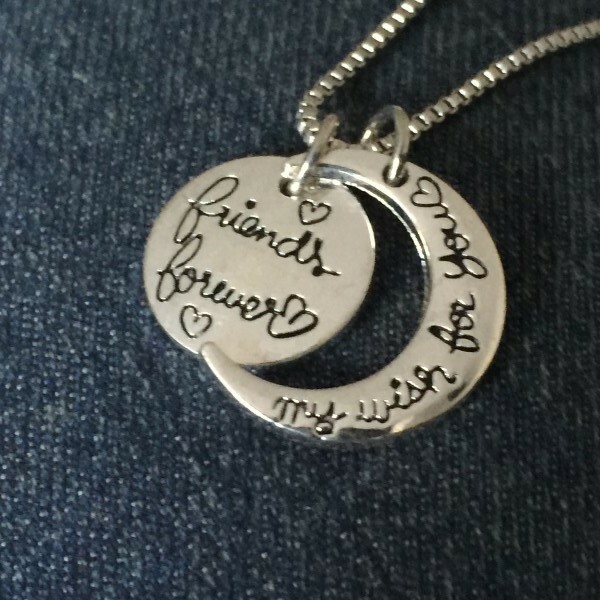 What a beautiful gift to give to a friend to remind them that you are thinking of them, and wish them nothing but the best. 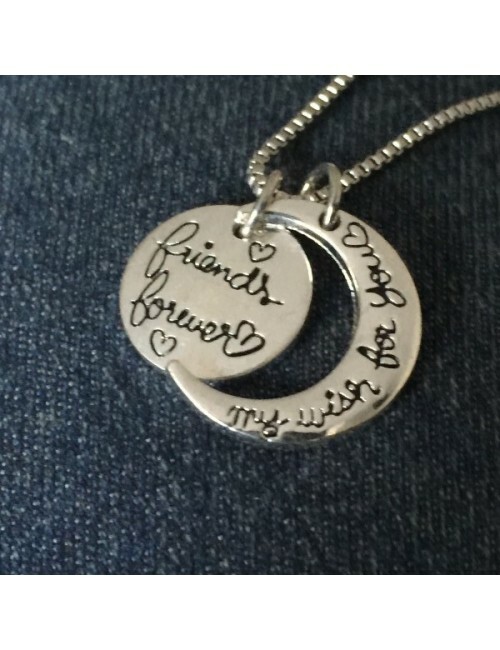 Round Disc inscribed with Friends Forever, and crescent moon inscribed with My Wish For You.